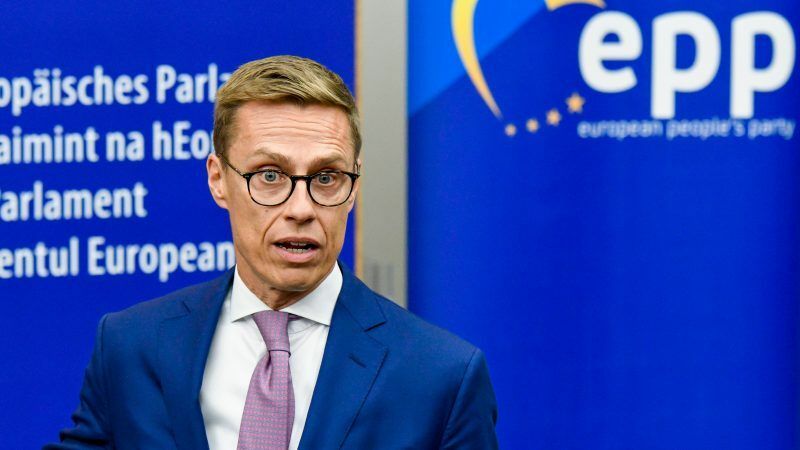 The former Finnish Prime Minister, Alexander Stubb, wants to defend European values within the right-wing, and this approach may split the European People’s Party a bit more. EURACTIV France reports. Following the low level of enthusiasm generated by Manfred Weber’s candidacy to represent the European People’s Party at the 2019 European elections, and Michel Barnier’s decision to temporarily withhold his candidacy [stating that he would focus on the Brexit negotiations], former Finish Prime Minister Alexander Stubb announced his candidacy to lead the right during the elections in Strasbourg on Tuesday (2 October). “After a little reflection and encouragement, I decided to stand as a candidate to lead the list of the European People’s Party,” stated Stubb, who says that he is “centre-left within the EPP.” Indeed, he is attempting a more centrist, Macron-style approach to European politics. Stubb, a former MEP and currently Vice-President of the European Investment Bank (EIB), provides solid pledges about his pro-European commitment. He is also a strong supporter of the rule of law and gender equality – qualities which are not necessarily unanimous among the European right. Just like his taste for sport. In 2016, this LSE graduate finished an Ironman event in Hawaii. This ordeal is top athletes’ nightmare, consisting of a marathon, a 4km swim and 180km by bike, all in a 35-degree temperature. On his Twitter account, the fifty-year-old describes himself first and foremost as a “father” (of two teenagers, one son and one daughter) and “husband” to a lawyer. His direct competitor, Manfred Weber, describes himself in considerably less modern terms as a “Bavarian and European”. Stubb is also a fan of Instagram and fully throws himself into staging photos. The difficulties faced by the “Spitzenkandidaten” process make the EPP’s posturing a little absurd. If the other parties do not play along and the states do not accept that the head of the winning party’s list at May’s European elections leads the Commission, the procedure will be a resounding failure. However, Stubb’s candidacy also represents a response to the inherent criticisms of the process. Indeed, many small countries are concerned about Germany’s hold over the European institutions. As this country has Europe’s largest population, it therefore also possesses the largest number of MEPs. At the European Parliament, the Germans currently lead not only the EPP group but also the European socialist party and the radical left, and they also co-chair the Greens. Meanwhile, the scandal involving the Commission secretary-general Martin Selmayr has strengthened the level of distrust towards Weber. On the other hand, Stubb does not have this disadvantage. For France, as for many other countries, a Finnish candidate is safer simply because the Finnish interests he might promote do not influence the European economy to the same extent. Whether he is a Spitzenkandidat or not, Stubb might end up leading the Commission because he brings about a consensus more easily. “In 2019, there will be five vacancies to be filled at the European level,” noted Stubb, who will not be running for the European Parliament. If he fails, he will return to the European Investment Bank. “We need a Commission that understands robotisation, artificial intelligence and people’s concerns, particularly on migration. I want to be the candidate of the new generation, even though I wear bifocals,” the triathlete joked while stressing his radical positions, particularly with regard to Hungary. Helmut Kohl was a major historic figure, the Chancellor who united Germany and set the foundations of the European Union as we know it: with the Schengen Area, freedom of movement and joint currency, the euro. However, Kohl had one flaw: he did not choose well his protégés. EURACTIV Croatia reports. “Regarding Fidesz, Orban’s party, I think that values are the most important element. However, with values, it’s binary, either you’re with us, or you’re somewhere else,” he said. 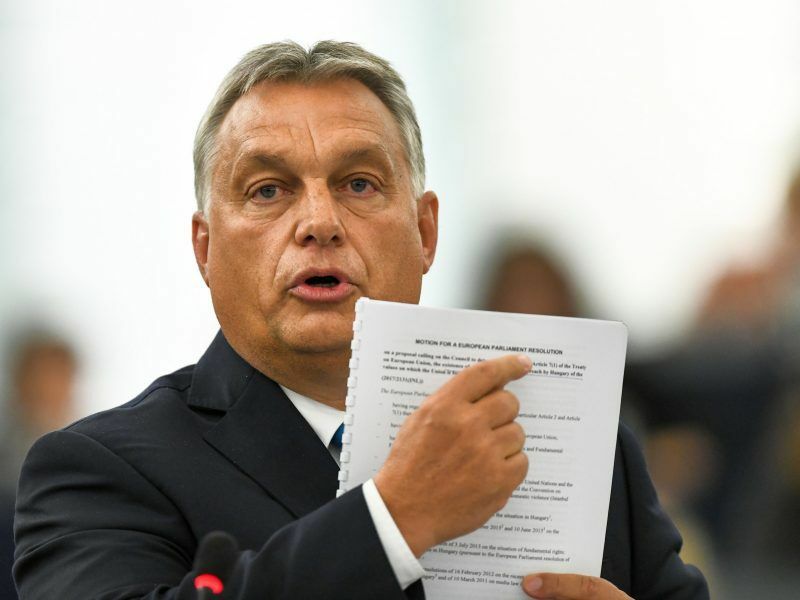 He had already stated that he did not want to belong to a party which accommodated Orban’s party. The debate taking place within the EPP until mid-November promises to deliver a bruising battle. Some, like Stubb, are leaning on the rule of law, whereas Weber is more conciliatory. As for the French right, behind its president Laurent Wauquiez, it seems to be supporting Orban’s party – at least, this is true of those who have not already left the party. This makes the task delicate for other countries: if France and Germany support Weber, the challenger’s chances will fade away.